Game of Thrones may be nearing its end, but creator George R.R. Martin has said he does not want the eighth season of the show to be the final one. The 70-year-old writer said last decade on the hit HBO series, which had him heavily involved in the production process, passed "in a blur". "I don't think it should be the final season. But here we are. It seems to me we just started last week. Has it been longer than that? The time has passed by in a blur. But it's exciting. I know it's an end, but it's not much of an end for me," Martin told The Hollywood Reporter. With the final two 'A Song of Ice and Fire' novels waiting to be written by him, the author said the end is only limited to the TV show as he still has his work cut out for him. "I'm still deep in writing the books. We saw five other sequel shows in development. I think I'm going to be hanging around Westeros while everyone else has left," he added. Martin previously said the two new novels—'The Winds of Winter' and 'A Dream of Spring'—will bear influence from the fantasy epic HBO series. He is working on the books at an infamous leisurely pace. 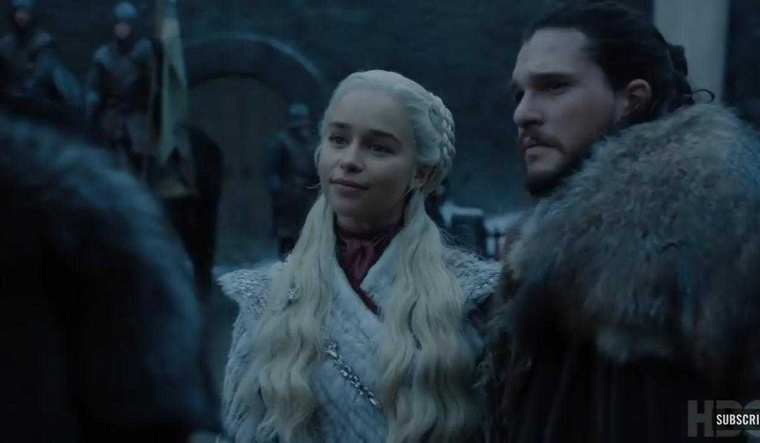 The writer said showrunners David Benioff and Dan B. Weiss have murdered "many more" people in its small screen adaptation that he did in his books. "I can name 20 characters who are dead on the show but are alive in the books. Whether they will die in the books or not? Who knows," Martin said of Game of Thrones, which has gained a reputation for killing off many a fan favourite characters at the most unexpected junctures. Martin is also attached as co-executive producer on the Game of Thrones spin-off, tentatively titled 'The Long Night', with writer Jane Goldman. Goldman will also serve as showrunner. The new show, to be fronted by Naomi Watts, will be set thousands of years before the events of Game of Thrones.